Jesus | Turn it Into a Blowtorch! 2. Are you open to loving Me, Jesus, in totally new ways beyond the ways you have before now? Are you willing to let Me show you those new ways? Jesus, of course You know all things and You know that I am open to loving You in totally new ways! But as soon as I say that, I am brought up short, because You also know I have hesitated before, fearful that You would ask too much of me. That You would ask more than I could give. Or more than I wanted to give is closer to it. I have been the one holding back in this relationship, not You. You have and continue to give Your all, and I give so little. The ways I have loved You in the past have been so meager and poor, I am ashamed to even confront the reality of it. What an absurd fear I harbored! How could I have been so fearful of the only Person who I can trust completely with my very life? Show me how to love You in new ways each day! To consider it brings joy to my heart and serenity to my soul as I know You will not deny my request! Show me yet today how to love You anew, Jesus, and again tomorrow! In my family, at work, particularly with those I do not easily get along with, with others I meet in my life on a daily basis. And then there are those I am repulsed by in the media whose lives are in direct opposition to mine, and those who are persecuting the Church, as well as those with whom we are at war. Now the loving is getting much tougher, the demands of love more piercing as I try to have compassion for them. Help me to love as You love, Jesus and not so selfishly as is my tendency. Help me to love generously and mercifully as You do. May the flame of love I have for You in my heart be turned into a Blowtorch, that others may see it and come to know You! Introduction. THE POINT. 1st Point. 1. Are you truly open to being loved by Me, Jesus, in a totally new way, unlike anything you have ever experienced from Me in the past? How do you imagine that will be? You know I am open, Jesus. But truly open? Give me the grace! Ah, but I need to clear the air between us, get it out in the open, making an honest admission. You also know that I have doubted Your love for me in the past, because I was focused on me and what I wanted as opposed to Your Will for me. Forgive me. I know and trust that You will forgive and forget it and put it behind You, and I will do the same. I am excited about being loved by You in new ways! Each day in my prayer, I look for the continuing unfolding of those new ways of being loved by You. I see it happening in small ways each day. I anticipate the newness of Your love each day. And the sure knowledge of Your love for me brings me serenity and joy no matter how my day unfolds. Frequently I have been asked when writing or leading groups to give some additional insights into the questions I pose to help the reader or participant in formulating their own response. With that in mind, the Spirit seems to be prompting me to do exactly that within the context of this guide, on the blog, at least in the near term. This is not something I would choose to do, as you might imagine, as the self exposure invites critical responses. How long it continues I will leave to His guidance to me, but I think as far as it goes, it will help the person who is engaged in the 30 Days retreat to get a sense of how a personal dialogue might unfold in their own life. Thus I will endeavor every week to write a response to each of the questions posed in THE POINT exercises at the end of each Day (chapter) in the book. Remember, THE POINT questions are my questions, written in the first person as though they are coming from Jesus to help the reader / retreatant. If you recall, while it is labeled as 30 Days to Reignite Your Spiritual Life, in reality, there is an Orientation Day, an Introduction Day and an Assessment Day, which gives you 33 Days for the retreat. 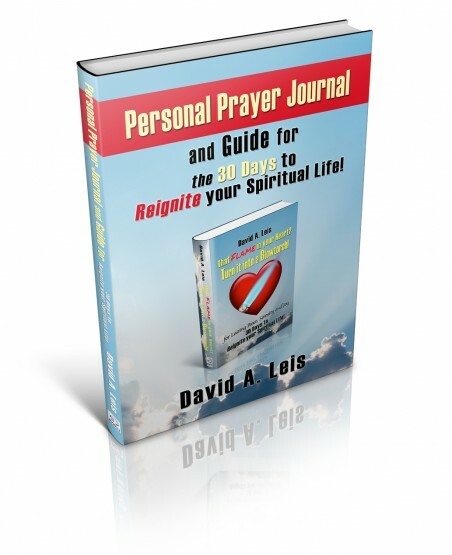 As I mentioned in my book, the 30 Days took me years of prayer and contemplation to write. The 33 Days is structured to be able to do it in 33 Days, but how long it takes you is between you and the Spirit of Jesus. I could also imagine it taking 33 weeks for a person who really wanted to take the dialogue with Jesus as structured in THE POINT exercises into deep prayer if they did a question a day. The new “33 Days with Jesus Christ for Greater Peace, Serenity & Joy” Retreat Guides for individuals and groups will be available shortly elsewhere on this site along with other materials to supplement it. As with any spiritual retreat, the secret is to be consistent throughout and let the Spirit guide you as He will. Oh, and if you have been on retreats before, you know to be ready for unexpected surprises, as the Spirit is wont to do! I am SURE it will happen for you on this retreat as well, because the Spirit is always consistent! 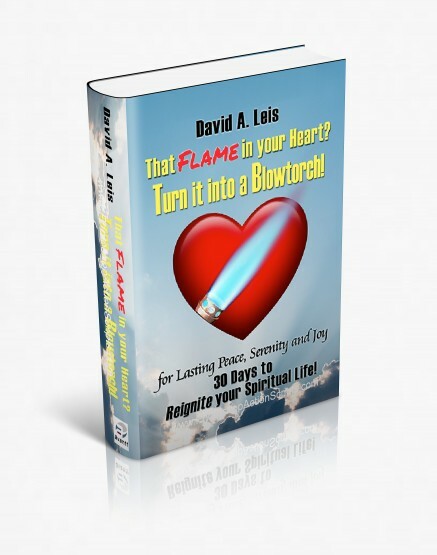 For those who have purchased the book, “That Flame in your Heart? Turn it into a Blowtorch!“, you are aware that it is written as a 30 Day program, one chapter for each Day of the readings found in “Volume Two” by Anne a lay apostle. There are actually two additional Days, an Introduction at the beginning and an Assessment Day at the end of the 30 Days. There is also one additional Orientation Day of reading the preparatory material found at the front of the Prayer Journal and Guide, and/or the free download on the web site along with the Appendix in the book on prayer. These should be read before starting the 33 Days program. Interestingly, that brings the number of Days in the program to 33, similar to the highly recommended Marian consecration book, “33 Days to Morning Glory” by Michael Gaitley. The book was written for the singular purpose of helping the reader enter into a deeper, more intimate dialogue with the Person of Jesus Christ than they have previously known, no matter where they are in their spiritual life. The guarantee, if I may be so bold to call it that, is that if you open yourself to Jesus in new ways, you cannot help but be changed from what you were formerly!! He will not withhold his grace from anyone who does that and that IS guaranteed! These 33 Days are structured in such a way that they become a spiritual retreat and the reader becomes more than a participant, they become a retreatant – a person on a religious retreat! First there is a reading from Volume Two, the words of Jesus, spoken to Anne firstly, but to all of us who read them. One can read that and reflect on it for some time, from minutes to hours to days or even weeks! Then to help the retreatant plumb the depths of their own hearts and initiate a deeper, more intimate dialogue with Jesus, I have opened up my own interior spiritual journey sharing a short reflection on those same words from Volume Two. One can use my reflections as kindling for stoking their own flame of love for Jesus into a Blowtorch. Lastly, there are a set of questions encapsulated in THE POINT exercise for each Day. It is there that the opportunity for the most intimate dialogue with the Person of Jesus Christ can be initiated and developed. It is there that His Graces can become manifest to the retreatant. You can find a 33 Days with Jesus Christ Retreat Guide for either a personal spiritual retreat, or a leader’s guide for a group elsewhere on this web site. The 33 Days transformed my life radically. I trust that it will do so for you if you put the time and effort into it and trust Jesus with the outcome just as you would with any spiritual retreat.